New Look will close 60 UK stores and cut 1,000 jobs after creditors approved a restructuring plan for the retailer. The stores will close within 12 months and some staff may be redeployed. 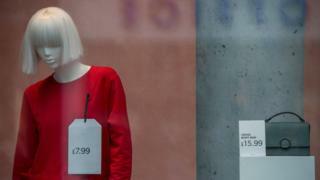 The turnaround plan will cut the fashion chain’s rents by between 15% to 55% across its remaining 393 stores. Executive chairman Alistair McGeorge said it was a “tough decision” to seek a company voluntary arrangement (CVA) but was necessary to restore the chain to profitability. “It is clear we need to reduce our fixed cost base. We are therefore pleased to have gained the support of our creditors to address our over-rented store estate,” he said. The outcome of today’s meeting was never in much doubt. Landlords aren’t happy, but felt they had little alternative to agree. New Look says it was paying over the odds on many of its stores. But landlords feel they’re the ones having to take a huge financial hit because of management failures. It will be interesting to see how many will now use the break clauses allowed as part of this CVA to bring in new tenants willing to pay more rent. One landlord I spoke to has already received expressions of interest. Today’s move will buy New Look some crucial breathing space but is it just a sticking plaster for a business that’s facing a toxic mix of problems. The restructuring is part of Mr McGeorge’s strategy to reduce costs and refocus the brand on its core 25 to 45-year-old customers. 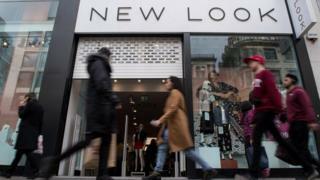 New Look is just the latest High Street brand facing a survival-of-the-fittest battle with rising costs and consumer spending that has been squeezed by inflation and stagnant wages. On top of that New Look overstretched itself with nearly 600 stores across the UK, an unsustainable weight of debt, and a faltering strategy to attract younger consumers. Mr McGeorge, who ran New Look between 2012 and 2014, was brought back in November as the firm’s sales tumbled. He cancelled a plan to move the company’s headquarters to Kings Cross and decided it should change tack. Rather than stocking items aimed at younger, more fashion-conscious consumers, he thought it should refocus on selling cheaper, “back-to-basic” items with broader appeal. But New Look’s biggest problem will remain the “obscene” number of shops its still runs with the associated costs, says Charlotte Pearce, analyst at Globaldata. When Mr McGeorge left New Look in 2014 the brand had 2.6% of the UK clothing market. Since then its fallen to below 2%. An agreement from landlords to renegotiate rents is a start. “It’s a step in the right direction. It just doesn’t go far enough,” Ms Pearce says. But New Look faces other challenges in the form of rising costs. Richard Lim, at the consultancy Retail Economics says the fall in the value of sterling, rising wage costs and business rates have contributed to the pressure on retailers. While some online brands successfully attracted younger consumers to their sites, New Look’s online sales were sharply lower last year. And on the High Street where they were supposed to hold sway, they faltered.